Donelly Auctions offer formal valuations for most purposes including, current auction market valuations, insurance valuations and disposal or liquidation valuations. When it comes to auctions and valuations, Perth-based Donelly Auctions stands head and shoulders above the rest. Established in 1972, the company is Western Australia’s longest established and most highly regarded auctioneering company, specialising in antiques, collectables, deceased estates and valuations. Our auction house also specialises in on-site house auctions and liquidations. To make use of our services or to enquire about upcoming auctions, contact us today. While it’s true that you can buy one-of-a-kind collector’s items online, you run the risk of overpaying and perhaps not receiving the true item. Old fashioned values are a focal part of our business. 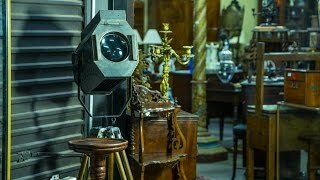 If you attend one of our antique auctions, you’ll find a wide selection of antiques and collectables to bid on, and even better, you’ll get the chance to inspect the goods before you decide to bid. Donelly Auctions is recognised as the “on-site specialist” of house contents auctions focusing on selling antiques and collectables in Western Australia. On-site auctions are a cost-effective, transparent selling method, however, not all homes or items are suited to on-site auctions, so contact us for a suitable alternative. See what’s for sale at our current auctions. We have many specialists working with us that are experts in fine art, antique jewellery and furniture, and much more. We are more than happy to visit your home and provide you with an estimated auction selling price on your household goods. If you want us to auction off your antiques or collectable, contact us to discuss further details. For a no-fee appraisal, email us photos of the items. Once you have submitted your photos, we’ll email you selling estimates within two to seven days. Our team of valuers can advise you on current market prices of certain goods going on auction, they can also provide written valuations for insurance purposes. Contact us for our professional valuation services; we are generally solidly booked for up to a week or longer, so please call for an appointment. We also provide many other services including professional packers and removalists. Our experience will ensure that you receive the best possible advice, whether it be for handling a deceased estate or selling off your house and its contents. To find out more about our auction or valuations services, contact us today.